On the weekend, September 26 and 27, traffic in the central and western parts of Moscow will be limited because of the Circle of Light Festival. On Saturday, September 26, it will be impossible to pass Frunzenskaya embankment, from house No. 4 to house No. 26, from 18:30 to 23:00. On Sunday, September 27, traffic will be closed there from 18:00 to 23:15. 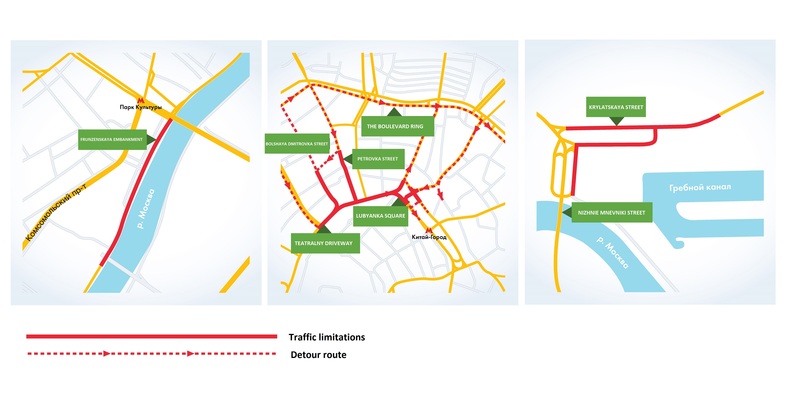 Besides, traffic at Teatralny driveway and Lubyanka Square will be closed on all lanes, except the two outer right ones, from 17:30 to 23:50. 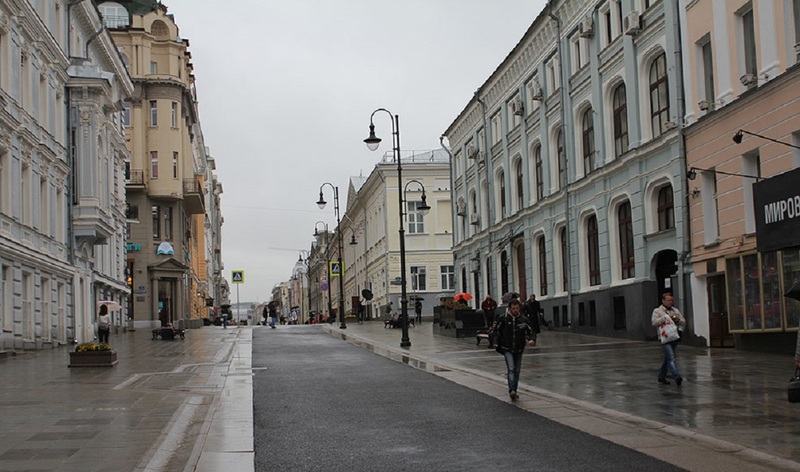 And the Krylatskaya Street, from house No. 8 to the intersection with the Nizhnie Mnevniki Street will be blocked on September 26 and 27 from 17:30 to 23:30. As for public transport, trolley buses No. 2, 12, 33, and bus No. 12Ц, 229 and 829 will follow with the increased intervals on both days from 17:30 to the end of the event. The trolley bus № 79 will not work at all. The Circle of Light Moscow International Festival will be held in the capital for the fifth time. It is an annual event at which light designers and 2D and 3D graphic designers utilize the urban space of Moscow as canvas for multimedia and light installations. Designers and artists produce light and multimedia shows, creating projection mapping on the facades of the most notable buildings, cultural monuments and other facilities in Moscow as well as integrate their creative ideas into the architecture of the city.